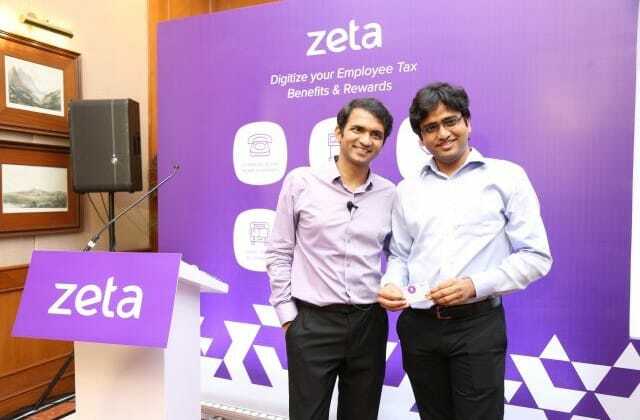 MUMBAI: Fintech startup that operates in smart employee tax benefits space, Zeta launched its first product for all end consumers with the most secure payment system — Zeta Super Card. Zeta says that its Super Card introduces first-of-its-kind anti-fraud security measures like geo-tagging and dynamic PIN for authenticating payments. The MasterCard powered Zeta Super Card can be applied for through the Zeta app or the Zeta website. The Zeta Super Card can be used by all consumers by transferring funds from their bank account or debit/credit card via the Zeta app. The SuperPIN replaces the static 4-digit PIN and SMS-based OTP with a dynamic 6-digit SuperPIN that is generated on the app for every transaction. In doing so, Zeta says that this system secures both online and in-store transactions from chances of possible fraud. The Location Shield feature allows geo-tagging, through which Zeta tracks and matches the location of the transaction – where the Super Card has been used and where the SuperPIN has been generated. In case of a mismatch, the transaction is blocked thereby ensuring the card is never used without the knowledge of the user. Additionally, in the Swipe2Pay feature Zeta users can authorize payments using a swipe action on the app to make payments online. This feature does away with the need to punch in an SMS-dependent OTP and provides added security to the user who need not key any sensitive information, thereby safeguarding the transaction in case the mobile phone is compromised. Zeta users will also be able to soon enjoy reward points on every transaction done through the Zeta Super Card. These rewards points can be claimed for gift vouchers. Additionally, Zeta has introduced the self-serve KYC feature, which enables users to upload a copy of their Aadhaar Card allowing them to store up to Rs 1 lakh in their Zeta Super Card, up from the existing limit of Rs 10,000. Zeta launches new Super Card to aid digital payment with advanced anti-fraud features 0 out of 5 based on 0 ratings. 0 user reviews.